FRAGRANCE GARDEN IN LANDSCAPE AREA. 16 VARIETIES OF PLANTERS IN LANDSCAPING. 11 VARIETIES OF TREES IN LANDSCAPING. GREEN SCREEN FOR KIDS PLAY AREA. GRAND WATER FOUNTAIN AT THE ENTRANCE. The city of Gurgaon in the metropolitan city of Delhi has been fastidiously turning into a growing hub for reality and infrastructure development. There are many commercial and residential properties that have boomed in the city due to the infinite facility the place offers and one of such property is Godrej Sector 85 Gurgaon. The Gurgaon offers a quality lifestyle, excellent transportation to nearby regions and corporate opportunities. With more businesses blooming in the region and a good quality lifestyle offered, the prices in the area are all set to rise in the coming months so investing in property right now is a very good decision and for that you should take a glance over Godrej Sector 85 Gurgaon. 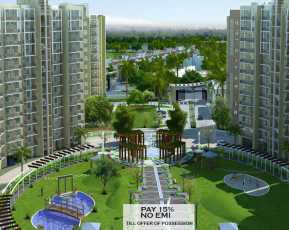 Godrej Sector 85 Gurgaon is a rising attraction for inhabitants. 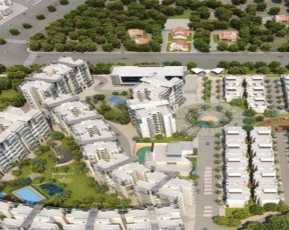 The project offers plenty of facilities to the buyers, in addition, to rendering a luxurious lifestyle to them. The houses are built with an exemplary state-of-art architecture and a peaceful ambiance that has easy connectivity with the surrounding regions. The citizens are spared from spending too much of time in travel and wandering to places in search of basic services. 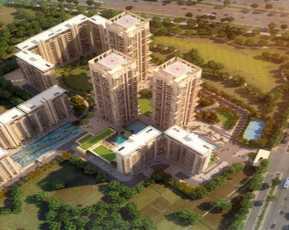 This Property in Sector 85 Gurgaon offering the apartments in 2 BHK, 3 BHK, and 4 BHK variant. 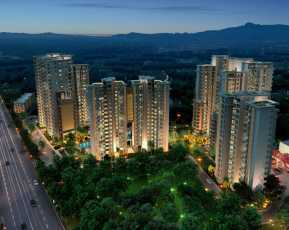 The Godrej Sector 85 Gurgaon is built by the renowned Godrej Properties who are known for their exotic construction and prominent projects spread across different locations in the country. The developers offer the same advantageous construction and contemporary designing that is indeed a dream come true for all buyers. The floor plans range from 1450 sq.ft to 2600 sq.ft. Some of the catchers of the Godrej Sector 85 Gurgaon are its exotic designing filled with extensive green lush and landscaped gardens. The garden area comprises of fragrant flowers, 16 varieties of planters, 11 varieties of trees and various medicinal plants. The lobby is covered with green interventions with a wide coverage of greens across the complex. The terrace is filled with greens too and kids play areas. The rooms of Godrej Sector 85 Gurgaon are spacious with immense ventilation and natural light spread all over the room. The apartments comprise of perfect fixtures and furnishings, nicely covered floorings, elevators, and large wide balconies. To make it easy for working parents the place comprises of a professionally run creche, libraries, sports courts, and health cafes. The sports court of Godrej Sector 85 Gurgaon comprise of various indoor and outdoor games like Tennis, Skating, Squash, Golf and much more. There is a wide swimming pool with kid’s pool, Koi Pond filled with chlorine-free water, huge fountains and many more attractions. The entire Godrej Sector 85 Gurgaon Area is under 24/7 CCTV surveillance coupled with trained security personnel. The outside of the area is surrounded with all the necessary services starting from Banks, Health centres, ATMs, Educational Hubs. There are various hangout places such as restaurants, Hotels, Entertainment zones, theatres, shopping malls where the public can spend with family and friends. 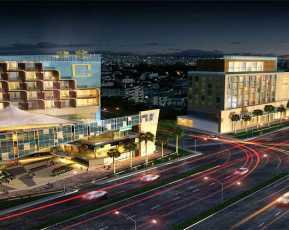 This Property in Gurgaon offers complete amenities and leisure for buyers at affordable prices. There are various payment plans, easy loans offered to the buyers making Godrej Sector 85 Gurgaon a potential hub for investment and making your dream come true of a house filled with peace and greens all around.